Duracell 1432 Flashlight: Battery Drain. 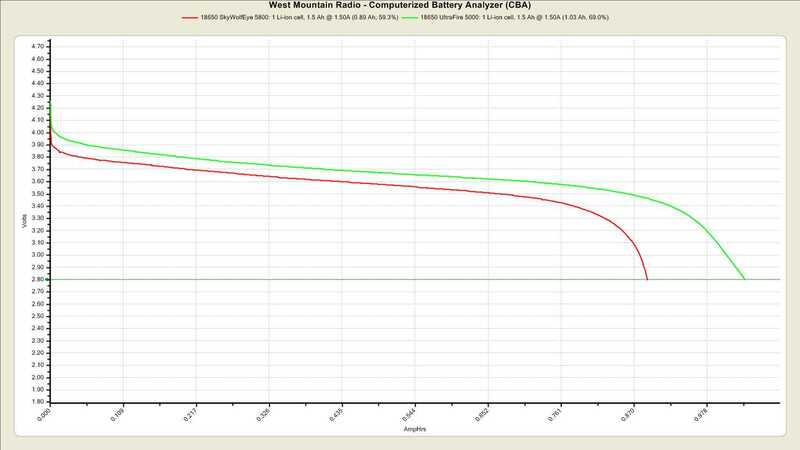 Re: Duracell 1432 Flashlight: Battery Drain. shelf and the batteries are dead. If it were all 5, I could buy the allegations of a flawed design. But only 2? I'm thinking some sort of quality control issue. Asus eee battery drain source. 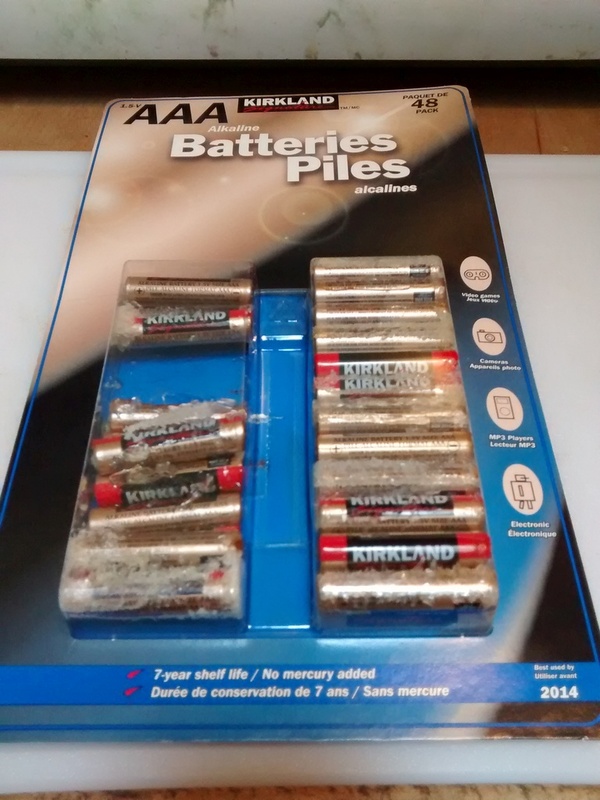 How much current does a flashlight battery offer? batteries for high power lighting when LiIon is so much better. Start at 6:00 for the tail switch. Tips for Discharged Nokia BL-5J 1430 mAh 3.7 Battery? to the OFF position, the LEDs were still lit, but extremely dim. I have to admit, I was puzzled. I ripped it apart as much as possible. ofter cheaper to just buy another flashlight (they come with batteries). Ford car stereo F87F-18C815-BB drains car battery. suppose to power. I just recycled yet another 2D Maglite flashlight. cells. There must be a better way. radios all day. Good enough. batteries, mostly 18650 and 14500. $0.85/ea for 14500 to $1.30 for 18650. Why buy bottom of the line? How customs even lets them into the country is a mystery. work for one battery at a time. flashlights, so the 2nd flashlight will cost only about $5. been eliminated in the current offerings. I'd agree, but many of my devices won't run on that voltage. Wireless power monitors and thermometers, for example. 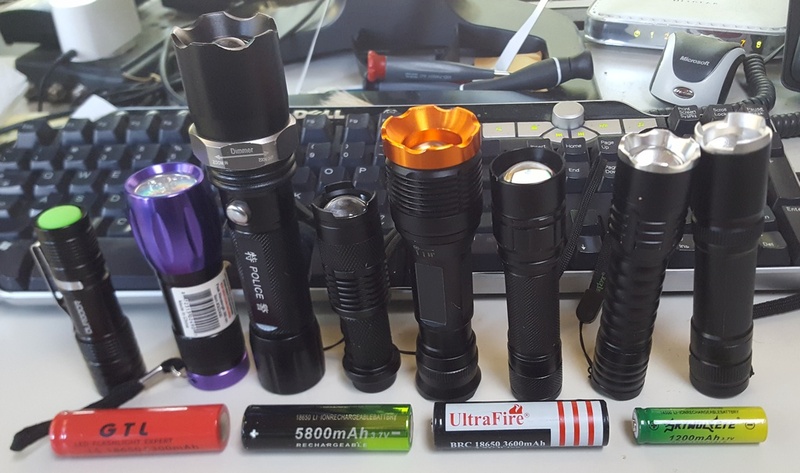 What's your experience with 14500 in single AA flashlights? Lowes has a six-cell 18650 lithium tool battery for $10. Only 1.5AH, but rated for 30 Amps max. Was gonna replace NiCd in an old drill, but I'm procrastinating. I have one that looks identical except has US plug. characteristics shown in the review. I didn't take mine apart. 1.5V cell with a 3.6V cell, which will likely burn out the device. voltage. 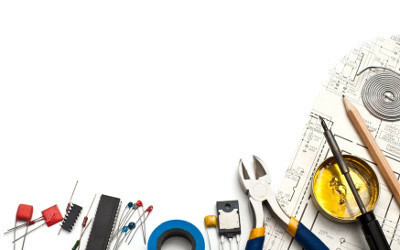 Most devices that have a voltage regulator will work nicely. Those without voltage regulators, will overheat. the battery in short order because it can't handle the current. the XP-E Q5 LED will dissipate 7 watts or produce 600+ lumens. up. My guess(tm) is that this flashlight is in the latter category. Make sure you leave room to let them inflate when charging. that nobody would get hurt. Draining NiMH by using LED in flashlight? for devices that can use one Li cell instead of two alkalines. I use these in an Apple Bluetooth keyboard for example. It used to have 11 stubby NiCD cells, now four 26550 LiIons. short circuited in a toolbox and burnt one of the wires. off an old laptop power brick. they have to be done after you've spent the money. record the spot diameter and lux values. (or guess) an average lux value. No integrating sphere or tube required. flashlight back and forth until the edges of the spot hits the marks. The lux meter will then read directly in lumens. such as with bicycle and automotive headlights, but I won't go there. That one was a keeper: thanks. I have been using Eneloops, but not in all of my lights.... yet. Where Can I Get an Older Duracell Two Battery Flashlight? No. It's my total disgust with the damage done by leaking alkalines. alive is NOT a substitute for visual inspection. Argh. Power Forums for quite a while and thought flashlights might be fun. force, with no effect. Chemical attack comes next. charger. Multiple cells charged in series require a balance charger. been the exception, not the rule. Discharging too far is their biggest killer. Or to put it another way, mismatched cells. When one flattens the others push current through it & it suffers badly. Even cheapie rechargeable NiMH do that no problem IME, and are less likely to corrode the contacts. There might be some out there that don't, but I think that issue has been exaggerated.